← Girlfriend more difficult than Ebola? 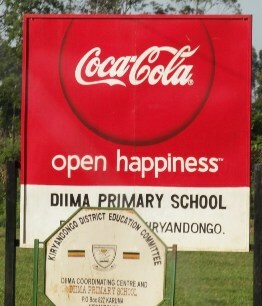 Per litre, ‘soda’ is at least as expensive in Uganda as in New Zealand, and coca cola has the soda market locked down. About two New Zealand Dollars for 1.5 litres, and no Pak-n-save specials in sight. That’s about the average daily income of a farmer here. The obvious question is – why do Ugandans buy the stuff when its so Expensive? Here’s some non evidence-based theories. 1) It tastes great, lets be honest. 2) Advertising. You can’t move a hundred meters through either a small village or big city without seeing coke Ads. Coke have this ingenious marketing strategy of painting things for free. Buildings, signs, everything is fair game. Even schools and hospitals aren’t immune. 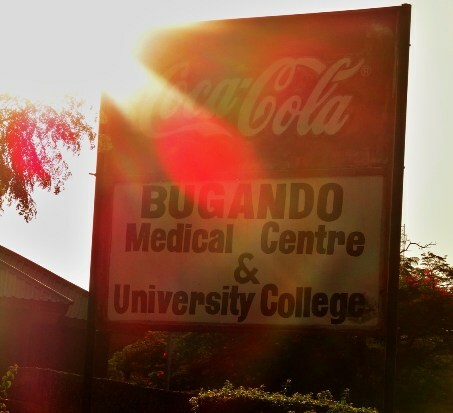 How can you refuse coke when it is synonymous with your local house of healing or education? 3) A celebration isn’t a celebration here without soda. Christmas doesn’t seem right without soda. When our language helper described a sad Christmas to us, her first observation was that there was no soda. I dared not ask whether the absence of Soda affected Jesus’s part in the celebration. Coca cola had somehow managed to hi-jack an entire the whole meaning of the English word ‘refreshed’ to be synonymous with drinking coke (remember the campaign A chillingly stunning marketing feat. I’m really uncomfortable about an international corporation with a pretty abysmal human rights record taking so much money out of this country, and embedding their brand so deep in local culture. I can’t even imagine how much money Coca Cola make here. Surely at the very least a local company can make a cheaper alternative. Heck, we even grow sugar cane in Uganda which is 50% of the job done :D.
Have I drunken Coca Cola products in Uganda? Yes – I won’t tell you how often during my recent medical course! Should I stop? Probably. Apart from that I’ve got no easy solution. Any ideas welcome. This entry was posted in Culture, Economics. Bookmark the permalink.